Opaque sedimentary amber color. Lively, nutty, fruity aromas of gingerbread, zucchini-apple bread, and delicate brown spices with a supple, soft, fruity sweet medium body and a smooth, interesting, medium-long pure clover honey and cinnamon finish. A great spiced apple syrup that really cranks up the volume and midrange of a whisky-based cocktail like a whisky smash. 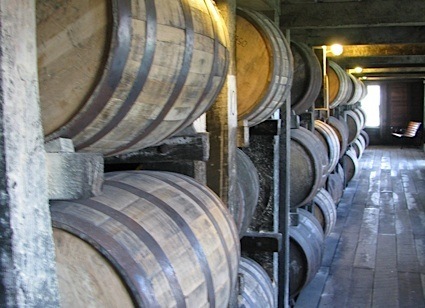 Bottom Line: A great spiced apple syrup that really cranks up the volume and midrange of a whisky-based cocktail like a whisky smash. 88 • Crawley’s Bartender Orgeat Syrup 0% (Australia) $20.00. 89 • Crawley’s Burnt Orange & Vanilla Syrup 0% (Australia) $20.00. 92 • Crawley’s Spiced Honey Apple Syrup 0% (Australia) $20.00. 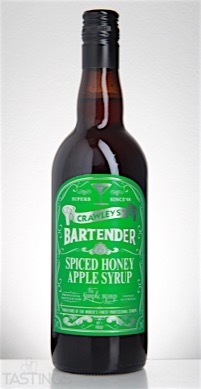 Crawley’s Spiced Honey Apple Syrup rating was calculated by tastings.com to be 92 points out of 100 on 5/11/2016. Please note that MSRP may have changed since the date of our review.